Go Country 105 - Go Country 105 wants you to experience the spirit of the holiday season at the Disneyland® Resort! Go Country 105 wants you to experience the spirit of the holiday season at the Disneyland® Resort! The holidays begin at the Disneyland® Resort - and Go Country 105 wants you to enjoy the wonder and magic of the season! The holidays begin at the Disneyland® Resort — and Go Country 105 wants you to enjoy the wonder and magic of the season! 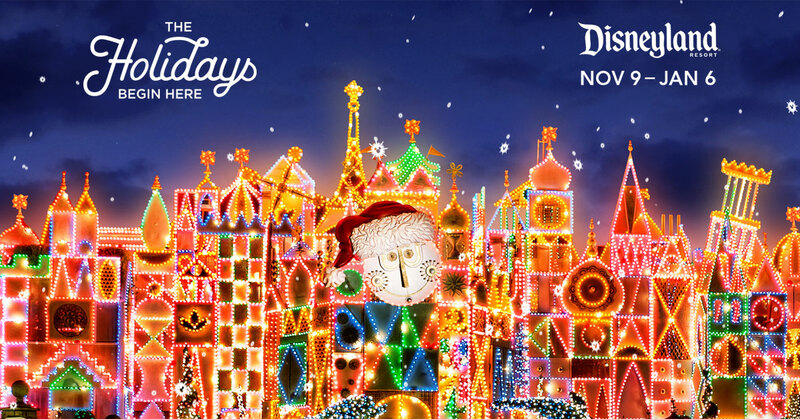 Experience the diverse sights, sounds and tastes of Disney Festival of Holidays at Disney California Adventure® Park. And over at Disneyland® Park, rediscover holiday classics like "Believe... in Holiday Magic" reworks spectacular, "A Christmas Fantasy" Parade, Sleeping Beauty's Winter Castle and so much more. Now's the time to gather with family and friends, share traditions and make memories at the place where the holidays begin...and the Disney magic never ends. Listen to Go Country 105 all this week for your chance to win a family four pack of 1-day, 1-park Disneyland® Resort tickets! Giveaway to run Monday, November 26, 2018 at 12:00 AM through Friday, December 7, 2018 at 6:00 PM. A winner will be selected each time when they are the 25th on-air caller unless otherwise stated on-air by the announcer. If there is a grand prize winner offered for the week long contest, the grand prize winner will be randomly selected from all of the weekly contest winners on the first Monday after the contest has concluded. 40 prizes to be awarded over the contest. Value for each prize is $540. Grand prize winner will be contacted directly by the Go Country 105 promotions department. All other Go Country 105 contest rules apply.